Have a question about caring for your lawn, growing tomatoes, pruning an apple tree, or identifying an insect? If so, you can submit your question to Ask a Master Gardener and it will be answered by an Ohio State University Extension Master Gardener Volunteer like me. Master Gardener Volunteers are trained in a wide variety of horticultural topics and volunteer their time passing on that knowledge to members of the public. 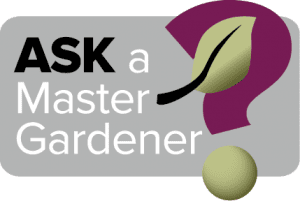 In addition to answering questions on-line, I usually spend a few Saturday afternoons each year answering questions in person at the Ask a Gardener table at the Cleveland Botanical Garden.